Hope shares some of the joys she has experienced so far in Córdoba as well as her gratitude for hospitality, native trees, and personal growth in her most recent blog, an excerpt of which is posted below. For more stories, ranging from academic insights to overcoming fears in order to grow in relationship with friends in Barrio Argüello, you can follow her on tumbler. The great Gayle Waters-Waters, of Youtube fame said “ I want the confidence of a girl deep into her third month of study abroad,” and I finally understand the sentiment fully. There’s a kind of calm that comes with knowing my surroundings and the people, and being comfortable speaking the language that makes me feel like Cordoba is my city. There’s something about the scent of medialunas floating through the air in the mornings that makes me feel at home and ready to take on the day as I walk to the bus stop every morning. I’ve even come to look forward to my daily rides in the collectivo , which at times is so crowded that I have to stand on my tiptoes in order to fit, and am constantly bumping people, constantly saying “permiso” and “disculpa,” all because I get to interact with the beautiful people of this beautiful place, and think about what I hope the day will bring. This is the first month I haven’t dreaded going to my Castellano class for fear of making a fool of myself, and the first month that I’ve spoken to cab drivers, shopkeepers, and locals without immediately being asked “De donde sos?”. In fact, last week during Argentine labor day I was talking to the woman driving my cab back from the centro, talking about the significance of the holiday in Argentina, and what she was going to do with the rest of the day, and she asked me (in Castellano of course) where I worked in the centro, and when I told her I was an intercambio from the US, she asked “How long have you been here?” and when I replied three months, she looked surprised, and told me how well I spoke Castellano. Needless to say, that gave me a lot more confidence! Even more exciting than getting compliments on my language abilities was having the Hermanas of Argüello over for dinner on Friday! I kept telling them how excited I was to have them over and finally take care of them and cook for them for once! We told them all they needed to bring was their appetites and their instruments, and they were so happy to oblige. Genine, Amanda and Lou made burrito bowls for dinner, and Catherine and I made tres leches cake for dessert, and we ate, cracked jokes, and make music until it was time for the sisters to get back to Argüello before the police close the neighborhood, as they do daily at midnight to prevent further drug activity and crime. It was such a joyful night, because my community got to meet Hermanas Andrea, Leti, and Terecita , and I got to show off how adorable, smart, and genuinely kind my little Hermanitas are! I feel so lucky to have them be an important part of my time here, and by the end of the night, my cheeks hurt from smiling in sheer adoration of those women. The way Leti can be so sincere and genuinely kind, but also crack some of the funniest and most sarcastically witty jokes at the drop of a hat, Andrea’s patience, and loving care for everyone she encounters, and Terecita’s quiet sweetness, desire to make others happy, and musical spirit. I LOVE THESE WOMEN. After we said a bittersweet bye to Katie on Sunday, Carly and I spent the morning making alfajores de maizena from scratch for our friend date! We had so much fun, and we were very happy with the finished product! The rest of Sunday was spent planting native trees for a reforestation effort, and later having merienda at Juan Carlos’s house in Mendiolaza, which was an optional paseo for Juan Carlos’s class, which has a large underlying theme of ecology and preservation of our world. We, along with a group of neighbors and youth, learned about how the native, and useful Quebrachos, and Espinillos had been abandoned for more aesthetically pleasing non-native trees, and then planted 50 little Espinillos and Quebrachos in a public park. Genine, MC, Tristyn and I went to JC’s house early with his daughter Sophie, to help make food and set up for merienda. JC’s wife Marcela, and her mother met us with smiles, saludos and besos. They taught us how to make a food typical of the campo and the Gauchos, tortas fritas (basically fried dough) which is absolutely delicious! We spent time together with JC and his family around the table in their beautiful yard (complete with organic vegetable garden-yay!) and ate until we were much too full and passed around mate, and laughed and shared lots of stories. It was a wonderful afternoon had by all, I am so grateful for JC and his family’s hospitality! As soon as this group of students emerged from their quietness on Sunday afternoon, following a weekend-long silent retreat in La Falda, one of the retreat center’s staff noted what a privilege it must be to be in my position, living with and learning from the students. And indeed it is a gift to watch them engage with life here, ask big questions, and grow in love for one another. So, without further ado, I introduce the 5th cohort of Casa de la Mateada! Louis is undoubtedly the most pop cultured person to come through the CASA doors. “Big Lou,” as he is affectionately called in the house, studies Math and Spanish at Marquette University. This aspiring professor has taught the community loads about both the beauty of pi and just about every NBA stat known to man. We love Louis for his goofy personality, always bringing a smile to our faces and his big heart, especially when that heart so happens to lead him to serve surprise steak and eggs in the morning or play so joyfully with the children at La Capilla in Nuestro Hogar III. Tristyn graces our house with a truly Oregonian spirit, marked by a love for the outdoors. Still on a high from climbing Mount Fitz Roy over fall break, this girl is always ready for an adventure. Studying Sociology at Gonzaga University, she helps the community navigate the complexities of our Comparative Poverty class as well as digging deep into their faith lives. In her days accompanying students and teachers at Escuela Sabin, she embraces the roles of teaching and learning. We are grateful for her sweet hugs, kind smiles and playful spirit that truly make our community more joyful. Genine has impressed many the Argentine with her impeccable accent, one which she has been practicing in her hometown of Los Angeles. She fits the vibe of her hometown with her vegetarian, fitness loving, adventurous spirit. 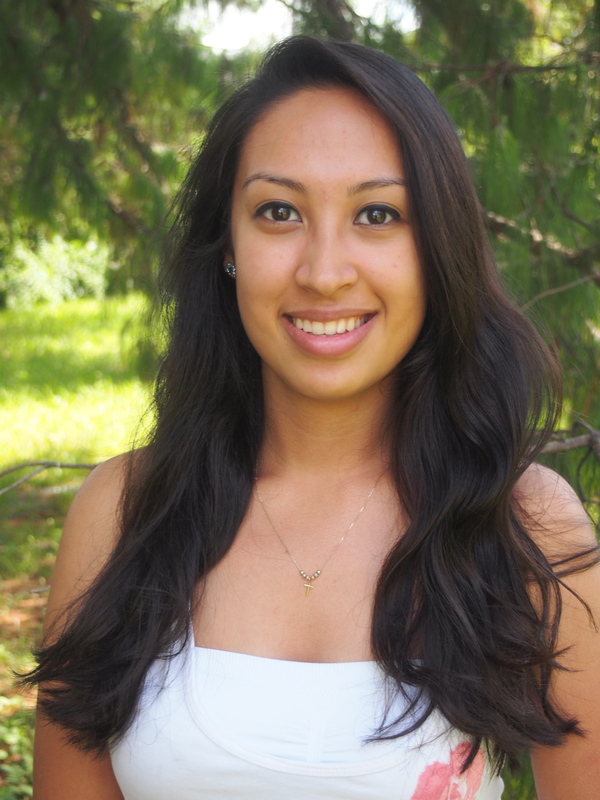 Whether sharing stories about growing up in the Philippines or her summer working in Hawaii, Genine has a presence that has drawn us all in, as well as the students she has gotten to know through spending time at Escuela Sabin. Studying Philosophy and Spanish at Loyola Marymount University, Genine hopes to become an environmental lawyer, a role of service that surprises none of her community mates. 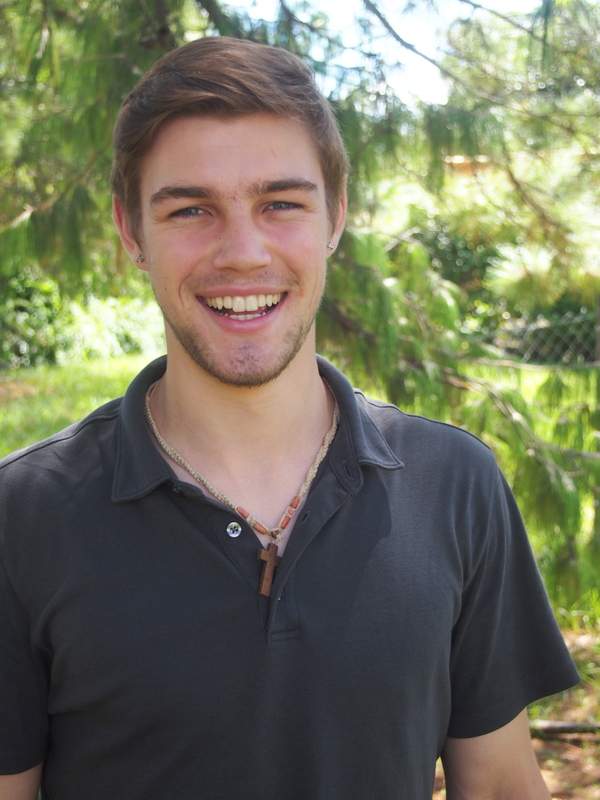 Dan joins the CASA community from St. Louis University, where he studies international Studies and Theology. This Chicago native possess an uncanny ability to imitate SpongeBob’s laugh and brings the whole house to echo in bubbling laughter around the dining table. 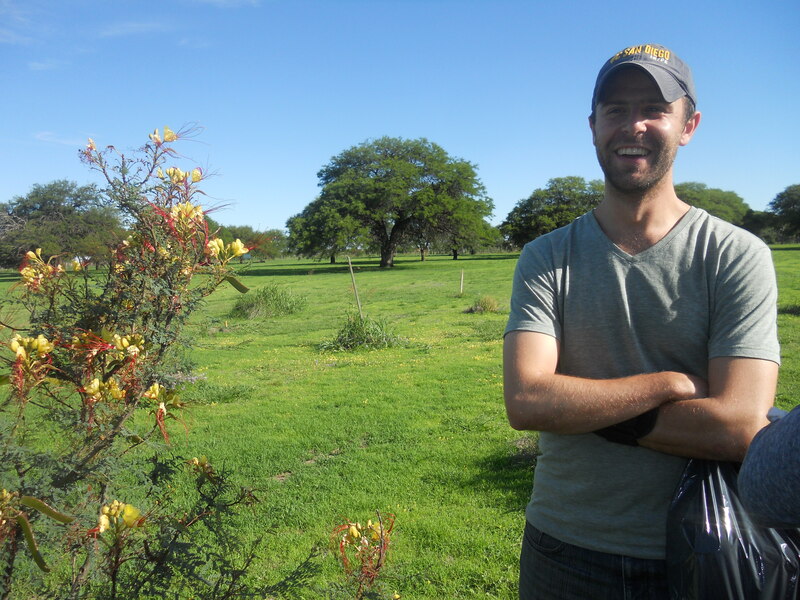 Dan is always looking for new ways to connect, whether it is a spontaneous merienda (an afternoon tea/snack), meeting up with his friends from praxis as they sell “La Lucierniga”, or his nightly ritual of making coffee with community mates. His heart truly resembles that of Ignatian spirituality, a wonderful witness of faith in action. Matt is currently studying abroad while studying abroad, as this lad is actually from Kent, England. On his less adventurous days, he is roaming the beautiful streets of sunny Los Angeles, California where he attends Loyola Marymount University studying Philosophy and Theology. Living up to his major, the philosopher of the house is always posing questions and offering insights that move the community to dive deeper. But make no mistake, he still takes the time to enjoy the finer things in life; playing chess, gathering flowers for the dinning room table, guitar playing, making asados, spending time with the nuns in Barrio Argüello and sipping yerba mate. Carly has revealed her secret to making a delicious mocha coffee and not surprisingly, her stock of cocoa has significantly decreased since then. Originally from Springfield, Illinois, Carly is an early riser and can frequently be found in the quincho most mornings, enjoying coffee and a good book. Carly is always ready to lend a listening ear and go on a stroll to the park. She attends St. Louis University where she pursues many academic interests; Gender and Women’s Studies, International Studies, Social Work and Spanish. She uses her many skills and interests in connecting with the children and adults at Escuela Sabin. With a witty tongue and loving laugh, we are lucky to have her hugs and her heart to light up our house. MariaCarolina, though often called upon as a Spanish dictionary (as our one fluent speakers), has a natural ability of making everyone feel understood, whether her community mates or friends in La Capilla of Nuestro Hogar III. She calls many places home: Mexico where she was born, Utah where she lives with her family, and now Córdoba. She studies English and Philosophy at Loyola Marymount University and hopes to become a lawyer, working with immigrant populations. MariaCarolina is always willing to accompany her community mates, whether to get a licuado at the Resto Bar, or to lend a listening ear in a time of need. We are lucky to have her generous heart. Katie is our Puerto Rican firecracker from New York and make no mistake, she’s a Mets fan! This vegetarian is passionate about caring for all of God’s creation and her thoughtful love and care is felt by all of her community mates. 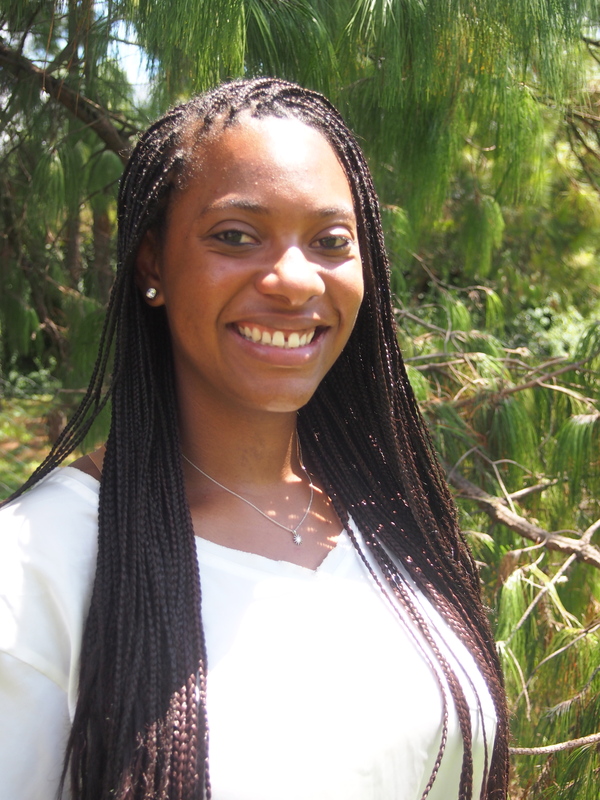 She continually deepens that commitment to care through her studies of Social Work and Spanish at St. Louis University. With her contagious laugh and salsa-dancing spirit, Katie is always bringing smiles into our home, the nuns and children of Barrio Argüello, and the Córdoba community. Hope, better known as Esperanza to the Argentines, comes to us from Loyola Marymount University where she studies Psychology. She can frequently be found singing around the house, usually tunes that fit the vibe of her sunshine hometown of Santa Barbara, California. 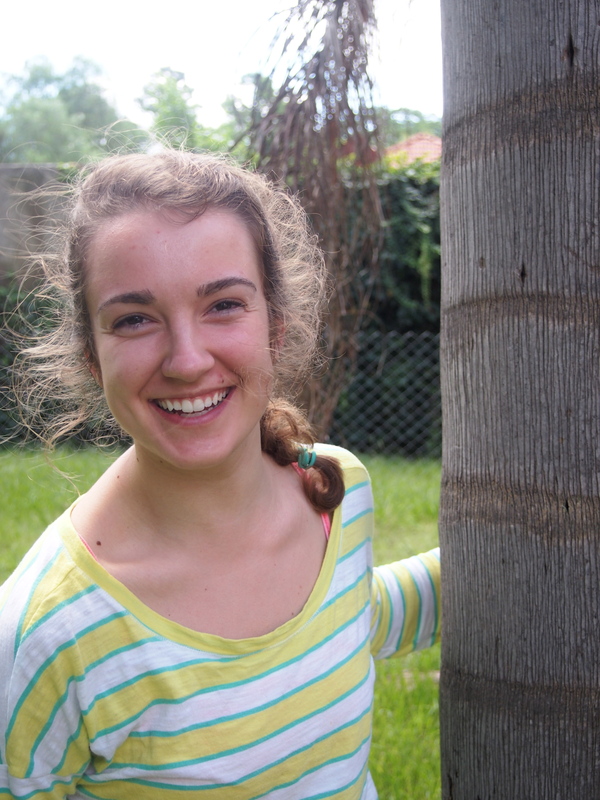 Hope is passionate both about helping others and trying every alfajor in the city of Córdoba. Her sweet tooth is only outdone by the sweetness of her personality, one that is a shining light to our community as well as that of Barrio Argüello. Emily is always DTA (Down to Accompany) her community mates. In addition to singing and often sharing her love with hugs, Emily is a wonderful friend to all, activities including but not limited to: her community mates, classmates, and La Luciernaga community. We admire Emily for her willingness to make friends, meet others and make those she meets feel as though they have known each other for a long time. Also, in case you didn’t know, she loves her Villanova Wildcats, especially their basketball team and her home department, Theology and Humanities. *special shout-out to MariaCarolina & Emily for writing about their community mates! In approximately 10,000 hours, one can become an expert in a field or practice. Potentially, if someone could spend 24 hours a day practicing a gift they have or a field of study whether it be playing the violin, running, cooking, etc. for 416 days straight, or 1 year, 1 month, and 20 days, they would have acquired the amount of hours that it would take to become an expert. In a long trip returning from one of the praxis communities, Barrio Argüello, to our home, I had a conversation with Martin, CASA’s praxis coordinator. I was experiencing a moment of panic (as people my age tend to do). I wondered aloud, what I should do next, after this year as a community coordinator. The questions: What am I going to do with my life? Should I stay abroad for another year? Should I go to graduate school? were continually filling my thoughts. At the time, I thought I had found a perfect graduate school program in San Francisco, and I was almost ready to begin the application process. But Martin’s only answer for me after my many questions was that I should absolutely NOT go to grad school at this moment. And he very matter-of-factly told me that I was still “learning how to learn”. I was stunned. I had little to no idea of what he meant. Have I not been learning to learn for the past 17 years? Have I not been absorbing information for my entire life? Shouldn’t I have the faintest idea of how to learn by now? I began to ponder more and more what Martin meant. And obvious things came to mind. I’ve learned the quickest bus routes around the city, the names of the people at my praxis communities and new friends, the best places around our new home to buy empanadas, and some Argentine slang. But I began to ask myself: what is it that I have learned here and now that I had not learned at home in Palm Springs, in Los Angeles, in my travels, or ever before? that three year old twins in Nuestro Hogar III have a knack of lovingly climbing into my lap just to be as close to me as they can. Over and over, every Wednesday, they will ask me what are on my wrists. Pulseras, bracelets, I tell them. By now, they absolutely know the word for bracelets. But their question is continually asked not because they forget what a bracelet is, but rather it becomes an excuse to sit together even for just a moment longer. Again, what is the rush? I realize that I will never become an expert on Córdoba. I will never fully understand all of the ins and outs of its history, politics, economics, and culture. In the prayer, A Future Not Our Own, written in memory for Archbishop Oscar Romero, it says: “We cannot do everything and there is a sense of liberation in realizing that. This enables us to do something and to do it very well. It may be incomplete, but it is a beginning, a step along the way, an opportunity for God’s grace to enter and do the rest.” Words cannot fully express my gratitude as I see CASA’s praxis communities become my classrooms filled with lessons from children, men selling magazines, nuns, seños, and friends who have become our teachers. I may no longer be learning in University Hall at Loyola Marymount University, but Córdoba, Argentina has become my favorite classroom. Amanda Montez is a Community Coordinator with Casa de la Mateada program who looks forward to welcoming students to the city that has already taught her so much. Before I came to Córdoba as a Casa de la Mateada student in August of 2013, a dear friend gave me a pocket-sized notebook with the word “Dig” on the cover. A wise woman and Spanish language learner herself, she encouraged me to “dig in” to life here, beginning with the simple practice of jotting down new words and expressions as I encountered them. The handwriting that its pages hold isn’t always my own and the words have an incredible range, everything from “pickles” to “sideburns.” I have the students at El Gateado, my praxis community, to thank for the majority. There are maps, phone numbers, and a list of things to read. One of my favorite pages includes a pie chart, scribbled for me as a visual aid, breaking down the political affiliations of the Argentine senators. The cover is worn from time spent in the pockets of my guardapolvo (smock) on days spent in El Gateado, in my backpack on busses en route to class, and in my luggage as I returned just a month ago, this time with Amanda Montez as community coordinators. It earned its spot in my suitcase, not for the utility of a few blank pages that remain, but as a reminder of what I get to do this semester. Dig in. Oregano growing in the Casa garden. This morning, we had the chance to “dig in,” in the most literal sense, to the soil here, starting a garden at the program’s new house. As I tugged and tilled and prepared to sow seeds, I was filled with a great sense of joy. In five short months, we will have the opportunity to welcome students, not just to this casa, but to the praxis communities that have welcomed and accompanied us. Amanda and I have been amazed by the hospitality we’ve been offered as we “dig in” here. It’s been a joy to hear stories of past cohorts from new friends in the praxis communities of La Luci, Barrio Arguello, and Nuestro Hogar III. We’ve experienced joyful reunions: with Nestor, who transported us to and from El Gateado each week, with professors Diego and Martin (as well as his darling daughters), with friends from our Praxis community as well as our time here as students. We’ve joined in the celebrations of spring with the teachers and families of Nuestro Hogar III’s nursery school (wearing costumes we hurriedly painted the night before), and again with friends on a weekend backpacking trip to El Parque Nacional del Condorito. In rich conversations as well as more structured language class, we hope to continue to improve our castellano. As we continue building on existing knowledge of bus routes and this city’s many wonderful panaderillas (bakeries), it is the growth of relationships that is most meaningful. And through these relationships, I am thankful to be able to dig in to the richness of life here in Córdoba once again. A four-sleeved “I ❤ MONSANTO” t-shirt, one example of graffiti in the streets of Córdoba. At times the reality here in Cordoba is a difficult one, deeply and tragically “connected to commercial imbalances … and the disproportionate use of natural resources by certain countries over long periods of time” (Laudato Si, 51). I’ve listened to long-time residents lament the changing weather patterns. On walks I’ve lost count of works of graffiti art protesting Monsanto, Coca-cola and other international corporations and their involvement here. I’ve witnessed, in a small way, the many social and health implications of living on contaminated land. I’ve found myself becoming increasingly aware that I’m a participant in systems and a society that exploit not just the environment, but workers and peoples who depend on it for their human needs. The ramifications of every choice we make, to consume, take action or ignore issues, are always social as well as economic, impacting my own spirit as well as the health, safety, and well-being of others. Sometimes those “others” are in my own home or community, but often the impact of my choices reach much further; to those driving down highways, laboring on assembly lines, sweating in between rows of crops, or the shafts of a mine, those living next to garbage dumps, or along contaminated rivers. Our impact, in a globalized world, reaches not just across trade agreements, boarders, and oceans, but across cultures and generations. And when I take a moment to think, I know that these are problems we can’t solve without removing some of the distance between myself and those “others,” something that my faith calls me to do. This past summer I had the opportunity to attend a workshop on food and faith, focusing on what the book of Revelation has to say about today’s environmental and social issues. As participants, we were challenged to think about how, as people of faith, we are called to make an exodus from “the empire” and its selfish, seductive, and exploitative ways and to be anything but lukewarm in the way we live our lives. again from a different perspective. But I also knew well that my move, in and of itself, would far from suffice.And in just a few short weeks here, I’ve been reminded, time and time again, that the lateral movement, occurring in planes at dizzying speed and altitudes, isn’t nearly as important an exodus as seeking out new depths. Depths, not just in the soil where we’ll sow radishes, carrots, and lettuces, but in relationships; with others, with creation, and with God. In deepening those relationships, we free ourselves up to be transformed, to live joyfully, perhaps with less, to learn, as Papa Fransisco encourages us to do in Laudato Si, “how to live wisely, to think deeply and to love generously” (47). Catherine Goggins and Amanda Montez are excitedly preparing for the February arrival of the next cohort of Casa students. Both members of the first cohort, they look forward to living in community with students, but right now are simply incredibly grateful to be back with people who have taught them so much about what it means to love ones neighbors. Amanda is an alumna of Loyola Marymount, where she studied Education with a concentration in Spanish and Catherine studied Agricultural Economics at Virginia Tech. I sit at the kitchen table looking at the tall jacaranda trees lining the street outside the window. 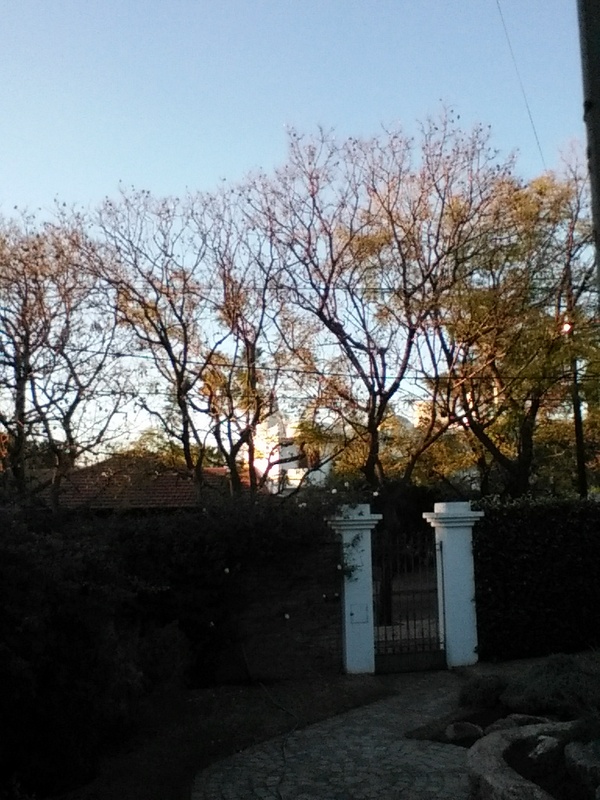 On this cold autumn morning in late May, the sky in the Southern Hemisphere in Argentina is midway between gray and blue, and the leaves are starting to turn light green. In another month, the great sprawling branches will be winter bare, following an ancient natural rhythm marking the seasons that we have witnessed from this kitchen window, now for the second time. Two years in Argentina. This time, when the students leave Córdoba, we—Doug, myself, Adam, and Bennett, our 11-year old boys–will follow them just days later in our own return journey to the United States. A return journey. It is not just winging our way northwards. Argentina is no longer an abstraction, and Córdoba is much more than a dot on a map. This place has become our home. The Casa de la Mateada program was just an idea when Doug and I first came to Córdoba as faculty co-directors with our four of our children. It was inspired by a fully developed model in El Salvador, a program which originally conceived and developed the four pillars–Community, Accompaniment, Spirituality, and Academics–in striving to form students in a “well-educated solidarity.” We were charged, along with our colleagues, with turning that idea into a reality when we arrived. Two years later, we have witnessed how our students have experienced those pillars in visceral ways. Learning to respect and love the members of their praxis communities at La Luciérnaga, Barrio Argüello, and Nuestro Hogar III for their resilience, determination, and capacity for love and laughter in the midst of the hard realities of their lives. Washing dinner dishes with the music turned up loud (“dance party” time, they call it). Sitting in shared silence together at retreats or during weekly nights set apart for this contemplative practice. Reflecting out loud and on paper, in class and in journals, in conversations with us, each other, Nestor (their taxi driver), and others. The questions crossed over from the academic realm into the ream of real life in trying to make sense of their experiences in Argentina. Joking around with Martin Maldonado, their irreverent and irreplaceable praxis coordinator and professor of political science. And going out for coffee or ice cream with their beloved Bianca McNeil, a staff member who lives with them and coordinates their community life. In the simple practice of learning how to pay attention to the little things, to make the effort to notice ordinary moments, students often find that the Casa experience can become quite extraordinary for them. Time moves differently. There is time for conversations, for journaling, for drinking mate, and for playing silly games, for noticing spiders, and the color of leaves falling from trees. Life becomes vivid. Riding the bus to classes and praxis, noticing how seated riders always get up and offer seats to the elderly, to women with children, to those with disabilities, no matter what. Feeling the “kisses that stick” softly brushing your cheek in the Argentine practice of besos for every salutation, whether greeting or goodbye. Feeling your head full and tired from the effort of speaking another language all day, and then suddenly feeling compassion for those whom you never thought about before; those who have to do it all the time in your own country. Through their time in Argentina, students learn to see themselves as connected to the broader world, especially to those on the margins due to poverty, and in the process, develop a sense of connection to something beyond themselves. Casa is ultimately an experience of learning how to be open to one’s own life in a world that is fragmented, unjust, and also utterly–almost unbearably–beautiful. To experience a life filled with vulnerability, tenderness, and gentle acceptance, as a radical alternative to the powerful social current that so often flows towards seeking certainty over questioning, and individual success over community thriving. Yet these other possibilities are also part of what they take back with them to the United States. Maybe something of that has happened to us, as well. We are returning to the US changed in many ways of which we are not yet aware. So it is with a mix of feelings that we return to our former lives, yet not as our former selves. The sweetness of knowing we will have more contact with our beloved family and friends again. The difficulty of leaving our dear friends and colleagues behind. These are the friends with whom we have labored so hard, as well as with such joy and sense of camaraderie these past two years, some of whom our students have never met. So, I will end this reflection with our deepest appreciation, affection, and gratitude to all our friends in Argentina: all those who have befriended us and our children, who have shown us hospitality and kindness when we were still strangers (to our friends at UCC, Colegio Mark Twain, Alla Arriba, CELEC and in our neighborhood). And to our amazing, hard-working, and inspiring program staff in Argentina–Santiago Bunce, Michelle Lally, Diego Fonti, Pablo Giesenow, Marta Risso Patron, Ariel Ingas, Jessica Laulhe, and especially Martin Maldonado and Bianca McNeil, who became like family to us–we hold you in our hearts with gratitude and love. Thank you! Me siento a la mesa de la cocina, mirando a los grandes jacarandas alineados en la calle afuera la ventana. En esta fría mañana de otoño en mayo, el cielo del hemisferio sur en Argentina tiene colores entre grises y azulados y las hojas están poniéndose más claras. En un mes, las grandes ramas desplegadas van a estar desnudas de invierno, siguiendo el antiguo ritmo natural que marcan las estaciones y del que hemos sido testigos desde esta ventana, ahora por segunda vez. Han sido dos años en Argentina. Esta vez, cuando los estudiantes se vayan de Córdoba, nosotros—Douglas, mi marido, Adam y Bennett, nuestros chicos de once años y yo—vamos a seguirlos apenas unos días después en nuestro viaje de regreso a EE.UU. Un periplo. Lo que no es simplemente emprender nuestro camino al Norte. Argentina ya no es una abstracción y Córdoba es mucho más que un punto en el mapa. Este lugar se ha convertido en nuestro hogar. El programa de Casa de la Mateada era solo una idea cuando Douglas y yo llegamos por primera vez a Córdoba como profesores y co-directores con cuatro de nuestros hijos. El programa estaba inspirado en un modelo desarollado en El Salvador, un programa que, originalmente, concibió y desarolló los cuatro pilares–la Comunidad, el Acompañamiento, la Espiritualidad, y los Estudios Academicos–en un esfuerzo para formar estudiantes en una “solidaridad instruida.” Estabamos encargados, junto con nuestros colegas, de transformar esa idea en una realidad. Dos años después, hemos sido testigos de cómo nuestros estudiantes han tenido esa experiencia con estos pilares de maneras concretas. Aprendiendo a respetar y amar a los miembros de las comunidades de praxis en La Luciérnaga, en Barrio Argüello y en Nuestro Hogar III para su fortaleza, determinación y capacidad de amar y alegrarse en el medio de las duras realidades de sus vidas. Lavando los platos con la musica a todo volumen (“dance party” le dicen). Sentándose en un silencio compartido en los retiros o durante las noches dedicadas a esta práctica contemplativa. Reflexionando en voz alta y en papel, en clase y en los diarios, en las conversaciones entre nosotros, entre ellos, con Nestor (el conductor de taxi) y otros. Las preguntas cruzaban desde el ámbito academico al ámbito de la realidad para darle sentido a sus experiencias en Argentina. Bromeando con Martin Maldonado, su ocurrente e irremplazable coordinador de praxis y su profesor de Ciencias Politicas. Y saliendo a tomar café o helado con su querida Bianca McNeil, una miembro del staff, quién vive con ellos y coordina su vida comunitaria. En la sencilla práctica de aprender cómo prestar atención a las cosas chiquitas, de hacer el esfuerzo para tomar conciencia de los momentos cotidianos, muchas veces los estudiantes descubren que la experiencia de la Casa puede convertirse en algo extraordinario. El tiempo transcurre de un modo diferente. Hay tiempo para las conversaciones, anotar en un diarío, tomar mate, y jugar juegos tontos. Para prestar atención a las arañas y los colores de las hojas que se caen de los árboles. La vida se convierte en una más vívida. Subiendo a los colectivos para ir a las clases y a “praxis,” prestando atención a la manera en que los sentados siempre ofrecen sus asientos a los mayores, a las mujeres con sus hijos, y a los discapacitados. Siempre. Sintiendo el roce de los “besos que se pegan a la mejilla” como parte de la costumbre argentina de besos para cada ocasión, sea saludo o despedida. Sintiendo la cabeza como llena y cansada por el esfuerzo de hablar un lenguaje diferente todo el día y luego, de repente, sintiendo compasión por aquellos en quienes nunca antes habías pensado; por quienes tienen que hacer eso todo el tiempo en tu propio país. A través el tiempo en Argentina, los estudiantes aprenden a verse a si mismos como conectados a un mundo más grande, especialmente a los que están marginalizados por la pobreza y en ese proceso, desarollan una sensación de la conexión a lo que está más alla de sí mismos. Finalmente, Casa es una experiencia para aprender cómo poder abrir el sí mismo a la propia vida en un mundo que es fragmentado, injusto y también a la vida que es completamente — casi insoportablemente —bella. Para tener una vida llena de la vulnerabilidad, el cariño y la aceptación gentil como una alternativa radical contra la corriente social que muchas veces fluye a buscar la certeza más que el cuestionamiento, el éxito del individuo más que el bienestar comunitario. Esas posibilidades también son parte de las que ellos van a llevar a EE.UU. Quizás algo de eso nos ha ocurrido a nosotros también. Estamos volviendo a EE.UU. cambiados en muchos sentidos de los que todavía no tenemos conocimiento. Entonces, es con una mezcla de sentimientos que nos regresamos a nuestras vidas de antes, ya no como éramos. La dulzura de conocer que tendremos más contacto con nuestra querida familia y nuestros amigos de nuevo. La dificultad de dejar a nuestros queridos amigos y colegas aquí. Ellos son los amigos con que hemos trabajado con tanto esfuerzo y también con tanta alegría y sentido de camaradería en los dos años pasados, algunos de los cuales nuestros estudiantes nunca tuvieron la oportunidad de concocer. Entonces, terminaré esta reflexión con nuestro profundo agradecimiento, cariño y gratitud a todos nuestros amigos en Argentina: a todos los que han entablado una amistad con nosotros y nuestros hijos, a los que nos han mostrado hospitalidad y amabilidad cuando todavía eramos extranjeros (a los amigos del UCC, Colegio Mark Twain, Alla Arriba, CELEC y nuestro barrio, el Cerro). Y a nuestros colegas del programa en Argentina, trabajadores asombrosos e inspiradores–a Santiago Bunce, Michelle Lally, Diego Fonti, Pablo Giesenow, Marta Risso Patron, Ariel Ingas, Jessica Laulhe u, especialmente a Martin Maldonado y Bianca McNeil, quienes se convertieron en una familia para nosotros–los guardamos en nuestros corazones con gratitud y cariño. ¡Muchisimas gracias! Every Tuesday and Wednesday morning Emily, Eileen and I step up to this gate—a rusted, brown, diamond criss-crossed pattern chain gate—with a four foot high door cut out centrally on the bottom. Just behind this gate, there is a set of French doors, painted blue. On the right hand molding, at the fringe of an arm’s reach, is a door bell, with a handwritten sign in black ink, “Toca Timbre”. Sticking my hand through the biting chained gate, I feel the white plastic give under my finger’s force. A moment later, I hear the jingle of Mariela’s numerous keys on her giraffe guarded key chain, as the secretary hurries from her office to greet us, opening the little door in the giant gate. I allow Emily and Eileen to pass through before I, too, fold my body in half at the waist, hunch my shoulders toward my center and squeeze through this little gate. Standing erect, I give Mariela a quick beso before taking a deep breath. I have arrived at La Luciernaga. Every Tuesday and Wednesday morning, Emily, Eileen and I walk through the front office of La Luciernaga, past the stacked green and yellow boxes of glossy paper on which the magazines are printed in house. Past the open air office of Mariela and Oscar’s—the founder of La Luciernaga­—closed door before taking a slight right out the back door of the building, down three red tile steps and over a raised cement threshold into the heart of the community. I run my hand along the cement wall with chipped orange-red paint to my right, skimming over the ever-changing posters inviting the young men to history, recovery, success, and presence. I smell Fabuloso, a cleaning product, which alerts me to Paola’s presence somewhere nearby. Just a couple steps further and the room opens up. A vaulted ceiling with square sky lights allows the end of summer heat to reflect off of the chipped, cream colored tables and chairs in two rows that fill the cement floor, illuminating the room. I move my hand away from the wall, continuing farther into the room and into our community. Every Tuesday and Wednesday morning Emily, Eileen and I open ourselves up to the emotions of others, allowing what is theirs to become ours. It begins by walking into the arms of Tio Julio, our supervisor at La Luci. He hugs me. Not in a quick greeting kind of way, where there is only a light beso and abraso. Julio’s mid-sized frame envelops me, squeezing tight, reminding me that I am safe with him, invited home in his presence. After being released, I continue around the gathered circle of faces that are becoming more familiar every visit— Pablo, Anna, Laura, Paola—exchanging besos and abrasos. The lasting impression of Norma’s—the chef of the comedor—cheeks on both of mine, sharing her Uruguayan culture in her simple greeting. The aroma of mate mingles with the beginning stages of Norma’s cooking as the odor of chopped onions sizzles through the air. Taking a seat at one of the tables, I stare at the artwork that adorns the risers that lead to the second story of the building. The abstract blocks of pinks, yellows, greens, and blues defined by black outlines shift with every movement of my eyes. At the top of the risers, my eyes lock on the second door from the right, Victor’s office. Seeing a flash of movement, I wonder who is in there a moment before I hear Victor’s signature: “JULIO!” Chuckling to myself, I quietly sing the Bruno Mars’ Uptown Funk line (“Julio get the stretch”) as Julio takes the stairs to the right of the risers two at a time up to Victor’s door. I hear lighters pop and cigarettes burn, making my eyes water, as canillitas begin to trickle into the community. Some irritable, others buoyantly happy, they greet me all the same. “Como andas?” I ask them of more than how their walk to La Luci was. I ask of their emotional walk, too, as we share besos and abrasos in this place where the collective cares about each individual’s path. After eating a rich lunch of heavy foods that keep the canillitas full for their hours spent selling magazines on the streets of el centro, I make my way from the comedor outside to the grassy area behind the center. The over grown grass is dying as the weather turns from summer to fall. Even so, Angel and Priscilla—Paola’s kids— want to play soccer with a blue, deformed, undersized, plastic ball. I leave my form ingrained into my seventeen years of play at the goal line, allowing myself to be silly, miss the ball, and run aimlessly around this field, while Angel schools me in my sport and Priscilla’s dimples take some of the sadness out of her eyes. holds the button down the entire time, allowing me to wash the Hulk off of me, into the red bucket below. Once I’ve cleaned myself up, he picks up the plastic bucket, full to the brim with water swirled with the blue and green paint of the day, and pretends to throw it at me. I flinch, clenching my eyes shut, my left leg lifting in a karate move of defense as my arms move to block my face from the spray and a high-pitched squeal escapes from the depth of my girlishness. After I moment, I peek out of the corner of my clenched left eye, to see Gonzalo laughing hysterically, doubled over, grasping his stomach as silent giggles erase the stress from his face. As I relax my stance, he catches his breath enough to chuckle through a reenactment of my fear, describing it in such rapid Castellano that I cannot even keep up. But, I can’t even be upset because the glow on Gonzalo’s face, his pure joy at the lighthearted joke is contagious. Hi smile automatically bringing one to my face, removing some darkness from my heart. Because that is what La Luci has given to me: a tingling sensation that consumes me when laughter, the universal song of love, permeates not only a language barrier, but circumstances, too. La Luci is the place where I have been humbled enough to acknowledge that the collective cares about the individual. Where my emotions are worth being seen and felt by other because every day of our lives are gifts that we share—both the good and the bad—with each other. Every Tuesday and Wednesday morning Emily, Eileen and I step up to this gate—a rusted, brown, diamond criss-crossed pattern chain gate—with a four foot high door cut centrally on the bottom. Every Tuesday and Wednesday morning I fold my body in half at the waist, hunching my shoulders toward my center and squeeze through this little gate. When I stand up, I share my life, my time, and my emotions within these walls, within the safety of La Luciernaga. It is a pleasure to welcome our Spring 2015 Cohort of students. Well, maybe not welcome (they have been here for two months!). But introduce them to you. And let you know how extraordinarily open-hearted they have been in entering into their new life here in Córdoba. It is a great delight working with them and getting to know them! Grant Cotner is a philosophy major, originally from Peoria, Illinois, and currently attending Saint Louis University. He dreams of one day opening a Cobblewagon with his best friend selling fresh pies out of a wagon in New York City. He has started a community garden in front of Casa Sol, the student house in Córdoba and we now proudly grow our own fresh fruits and vegetables. His genuine and joyful laugh and excitement in life keeps all of Casa de la Mateada in good spirits. Ladies and gentlemen, meet the one and only Emily Haas. 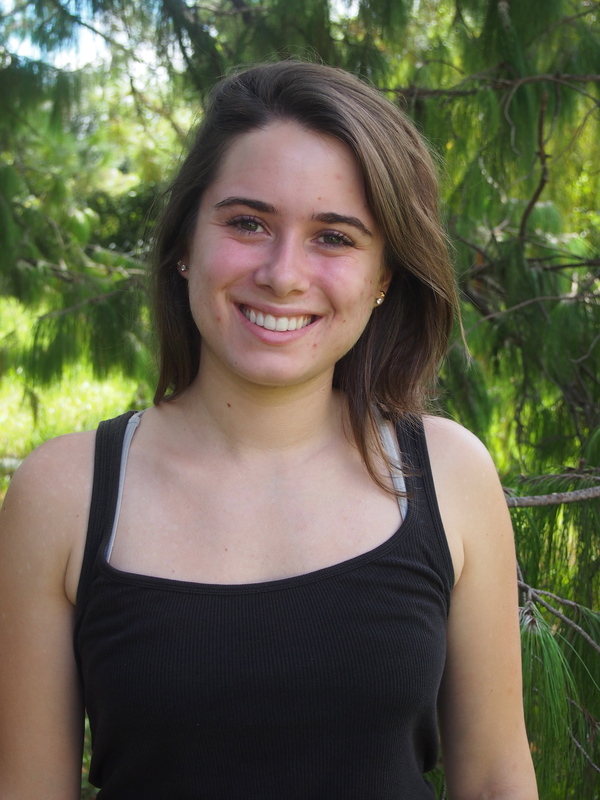 A true Milwaukee, Wisconsin native, Emily loves the outdoors; she considers this her “happy place.” She is a junior at Saint Louis University, majoring in Psychology and Latin American Studies and minoring in Urban poverty studies. 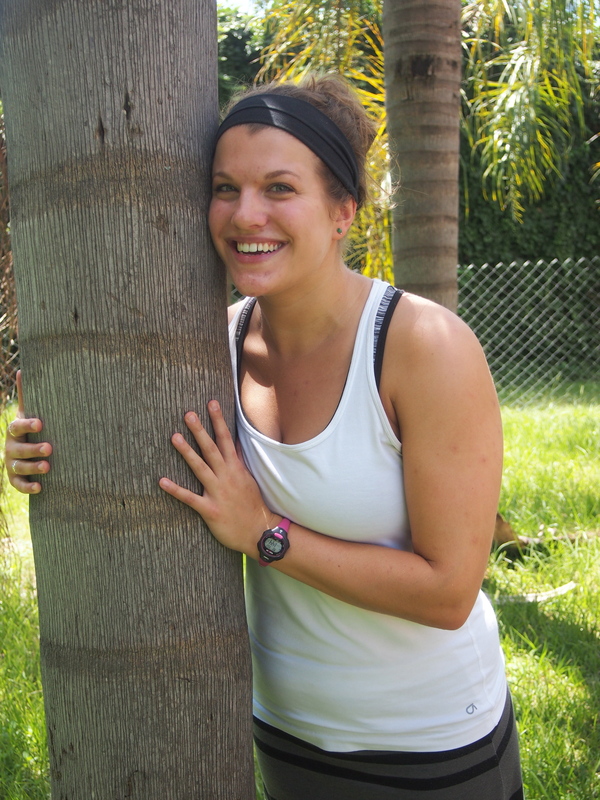 This global traveler has been to India and El Salvador–Emily’s favorite color is a forest green. When she’s not studying or volunteering, you may find Emily playing some music or going on an outdoor adventure. She is enjoying getting to know the people of Argentina and learning the culture and language. 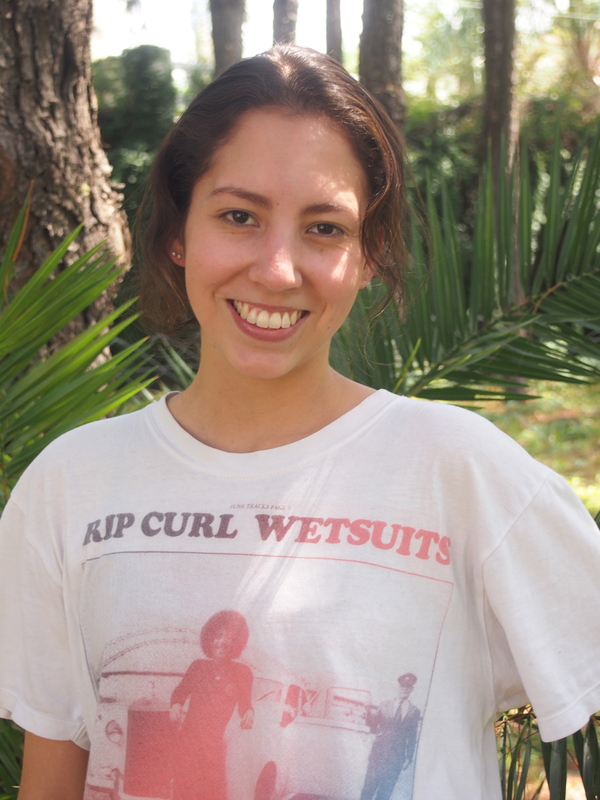 Meet Marianna Hernandez, a junior psychology/sociology major at Loyola Marymount University. Hailing from sunny Los Angeles, the city of angels, this chica truly is one. Sweet, smart, and always ready for a good laugh, Marianna is a woman of many gifts. In high school, she started dancing folklorico, and quickly discovered her natural ability to move to the music—and her hips don’t lie. Marianna is an adventurer who dreams of hot air balloon rides and New York City. Up next on her to do list is exploring her new home—feeling the rhythm of Córdoba’s centro, travelling Argentina, and trying everything from music to museums to the world-renowned asado (though she wouldn’t mind a scoop of guacamole every once in a while). 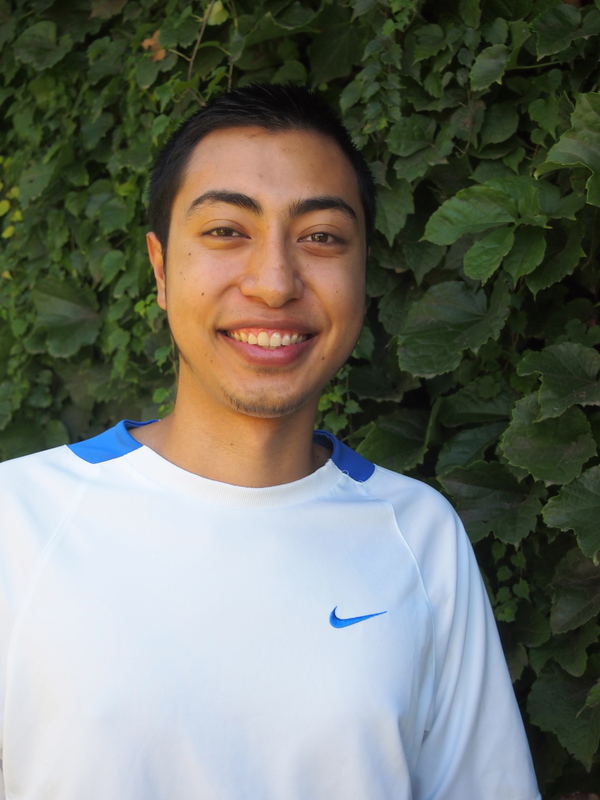 Jonathan Ishi is 20 years of age, but 21 by heart. Part of an intercambio from Mexico, he actually is a California native and loves the beach. He studies political science and will one day be president of the United States. His favorite color is blue and I bet you didn’t know he has completed 6 marathons. He loves spicy food and watching House of Cards with roomie Grant. He is the creator of the CASA traditions of confession time and breaking bread. He most assuredly will be the last one to finish his food and have put away at least three plates. He always is able to convince you of what you know you want to do (the master of peer pressure). But seriously the dude’s got a big heart and is gonna go far in life. He lives with passion and will never fail to make you laugh. Cheers to the rest of the CASA experience, stay awesome Yonathan. Eileen Margaret Mallof was born on October 8, 1993 in Japan. She grew up in Milwaukee, Wisconsin along with her 5 older siblings. Her favorite childhood memories are of spending the summer with her family at their cabin in Two Sisters Lake in Northern Wisconsin. She is a third year student studying Biochemistry and Molecular Biology in Marquette University. She enjoys spending time with her family and friends, especially her nieces and nephews. She is really enjoying her time in Argentina. She takes great pleasure in figuring out the public transportation system, playing soccer, and working on her Argentine accent. Cassie Novinger, 19, is a sophomore at Saint Louis University, Missouri, where she is currently studying Public Health and with current minors in Spanish and Theology. An avid runner, Cassie is hoping to run a marathon in downtown Cordoba this May and will run a triathlon back in the United States this fall. Her goal is to ride her bike across America. The sweet tooth of the Casa Crew, she is the first to taste test all sweets, especially the famous Argentine Dulce de Leche. Cassie dreams of having a clothes line and garden in her future home in Nicaragua. Cassie is a bright light of hope and optimism in the CASA house and always eager for the next adventure. Daniela (Dani) Velazco, a psychology major from Loyola Marymount University in Los Angeles, graces our community with her gentile presence and love for adventure. Apart from being this cohort’s official animal whisperer, she is the number one consumer in empanadas and alfahores. Her love for adventure sparks her determination to explore Argentina top to bottom, which includes leading a scavenger hunt to find the mysterious llamas that exist somewhere on the UCC campus. Aisha Noni Walker, which means life that is a gift from God, grew up in sunny San Diego. She later discovered that she was the queen of the world. Aisha likes to refer to herself in the third person, and frequents local tea shops in Cordoba, as a queen should. Aisha has never broken a bone, because queens are graceful. She is a dreamer, an explorer, and a traveler and has been known to travel upwards of thirty hours for a short, but exhilarating trip. A soccer player at heart, Aisha frequently beats Argentines at their own game. She is fun, full of wonderful energy, hilarious comebacks, and a joy to be around! Tess Natalie Weaver brings to us her coffee-know-how and rain tolerance from Spokane, Washington. A sophomore Spanish and European Studies major at LMU, Tess graces us daily with her passion for fitness and life. When not leading the cohort in Insanity workouts or spending time with the babies of Nuestro Hogar III, Tess can be found cheering for the Seahawks, hiking, and talking about her favorite foods (including but not limited to: Mexican, IHOP, dulce de leche, and protein shakes). 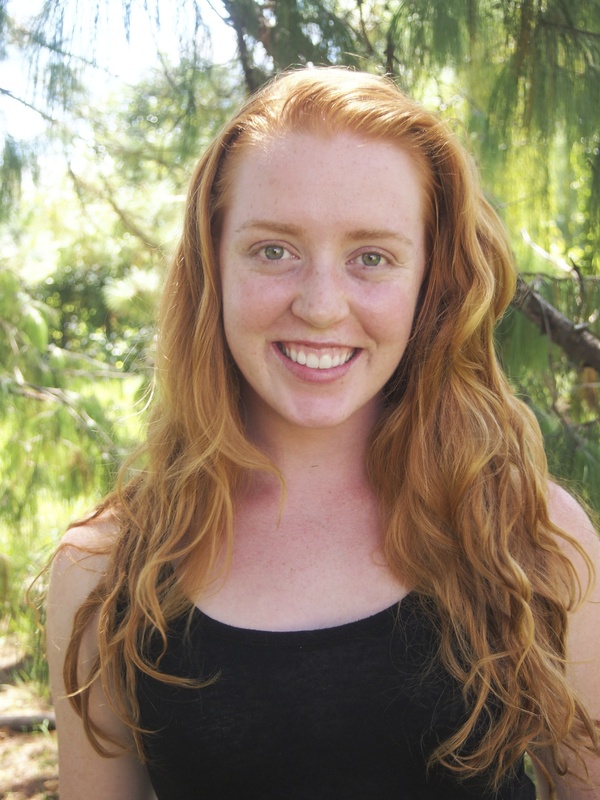 The redhead of our cohort, Tess is a fiery adventurer excited for life in Córdoba.